Pizza is a wondrous thing. From the dodgiest takeaway to the swankiest trattoria there is a whole spectrum of deliciousness. 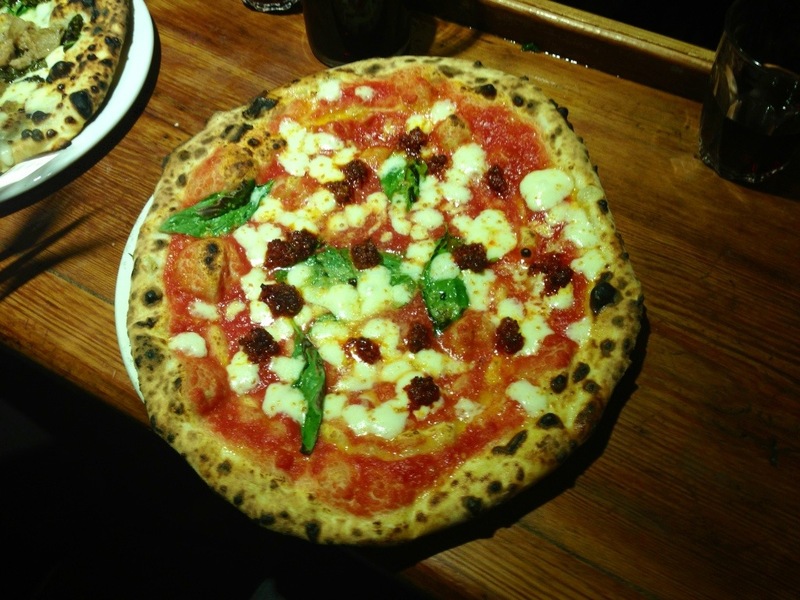 For Italians it is almost a religion – the Associazione Verace Pizza Napoletana sets stringent rules on the preparation of a “proper pizza” from the ingredients to the cooking method – all is set in stone. 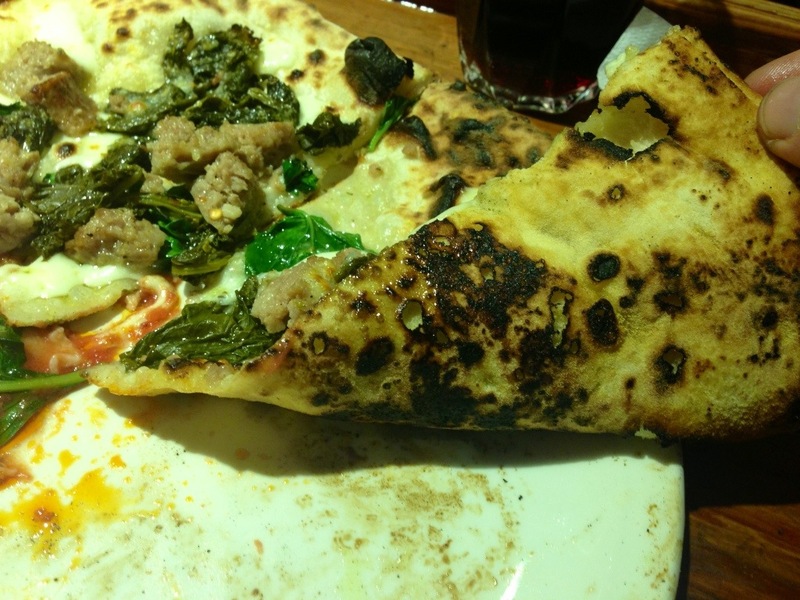 When in Italy, eating pizza outside Rome and Naples is like eating cornish pasties in Newcastle – not necessarily the best idea. Pizza in London has for years been a similar experience – the preserve of Pizza Express, Dominoes and Pizza Hut, but no longer – a raft of independents have sprung up offering a vastly superior product. 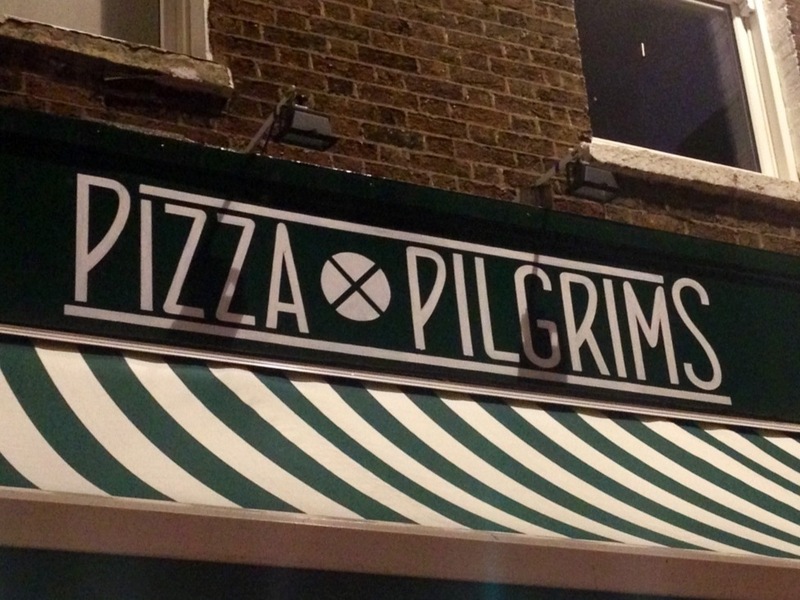 Pizza Pilgrims represent the dream for many foodies: throwing in the towel on “proper London jobs” they went to Italy – bought a little van and went on a literal pilgrimage to that greatest Italian culinary gift – the pizza. Having mastered the art they returned home to London and setup their stall on Berwick Street Market. After much critical acclaim (and providing many excellent lunches to this blogger) they’ve finally made the jump to bricks and mortar. Perched on the corner of Dean Street – cheekily opposite a huge Pizza Express, their first restaurant is immediately welcoming. The sizeable queue snakes down the road outside – the fact that people are prepared to queue an hour for something most have delivered hints at the quality of the product. They’re happy to serve drinks in the line and on a busy Friday night we were seated pretty quickly. 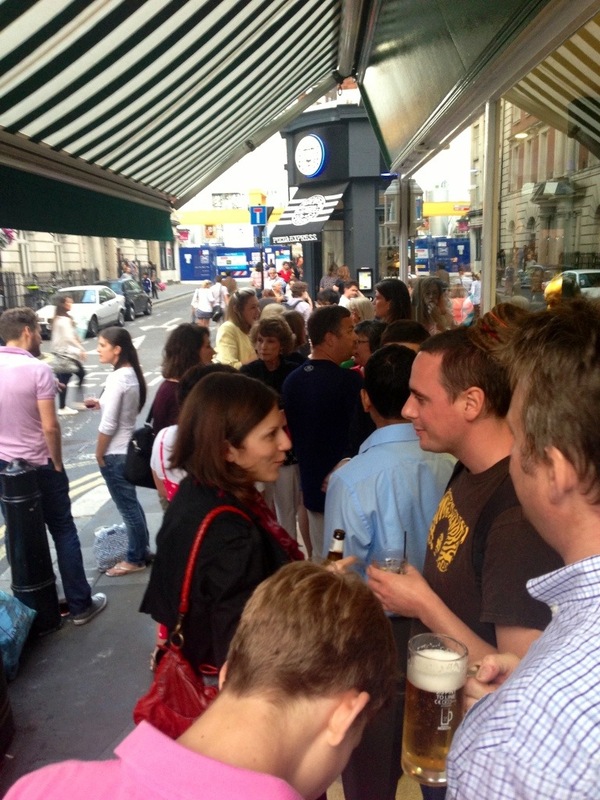 The staff are wonderful – they practically reek enthusiasm, loving the challenge of running Soho’s newest star. Inside the decor is cut from the same cloth as most new trendy eateries – though they definitely get points for using a fusball table as an actual table. I also really like the fact that (our table at least) was really well lit – you can see the food you’re eating! Their menu is pleasingly spartan. A handful of thoughtful, authentic choices with carefully chosen ingredients. The drinks menu is similarly sparse – go for the house red, not only is it available by the litre, but it’s has a lovely rustic quality with enough body to stand up to a decent pizza. We ordered two – their signature nduja and a ‘friarelli and salsiccia’ bianca (a pizza with wild broccoli and fennel sausage, without the tomato sauce). So what’s the pizza actually taste like? Heavenly. 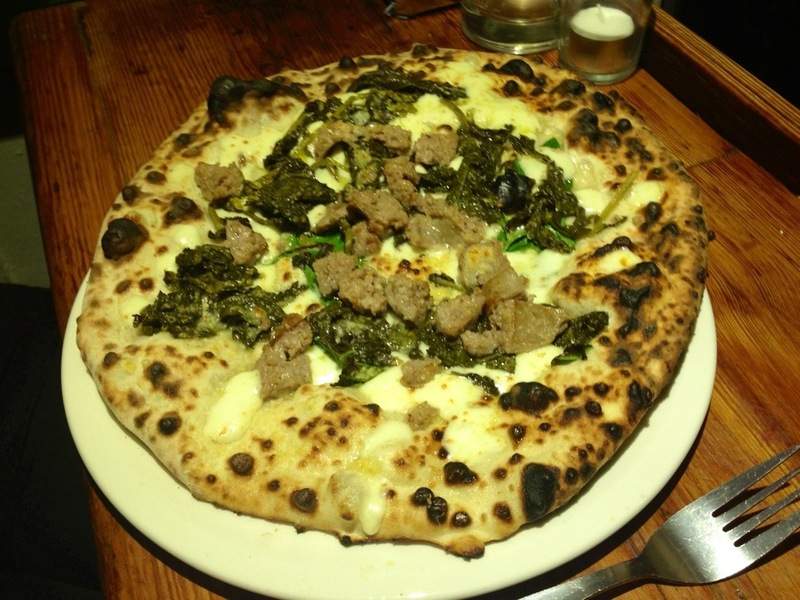 Their oven does a marvellous job of baking the pizza – turning it from raw dough to puffy crisp perfection in seconds. The crust is divine, with just the right hint of smokey char. It’s quite a salty mix, but it really works to show off the flavour. The toppings were brilliant – the nduja has just the right kick, the tomatoes are sweet yet tart and the mozzarella is brilliant. I love the bianca – without the tomato you get a very different experience, something creamier and more delicate. 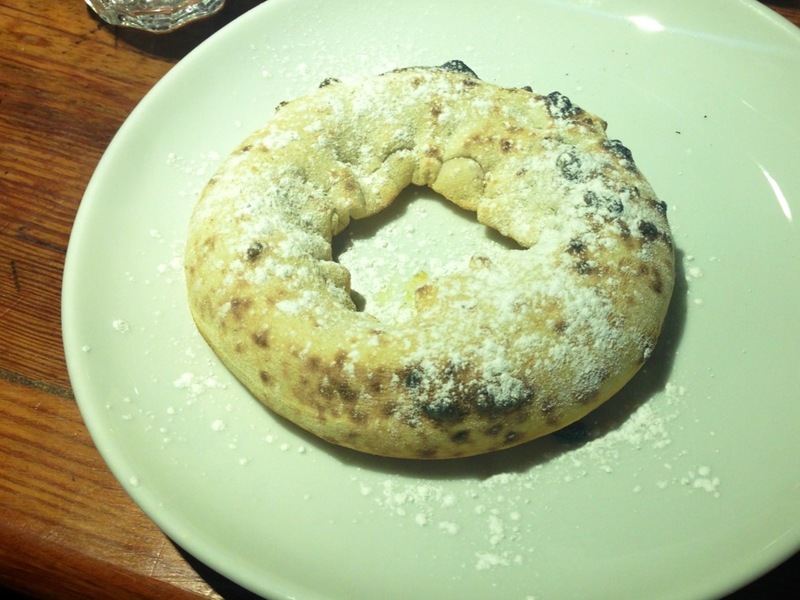 They offer a handful of desserts – we went for vanilla gelato with salt and olive oil (strange, but rather nice) and a Nutella pizza ring (a real guilty pleasure – don’t tell the Italians). They’ve managed to turn what many see as a commodity product into something unique and special. 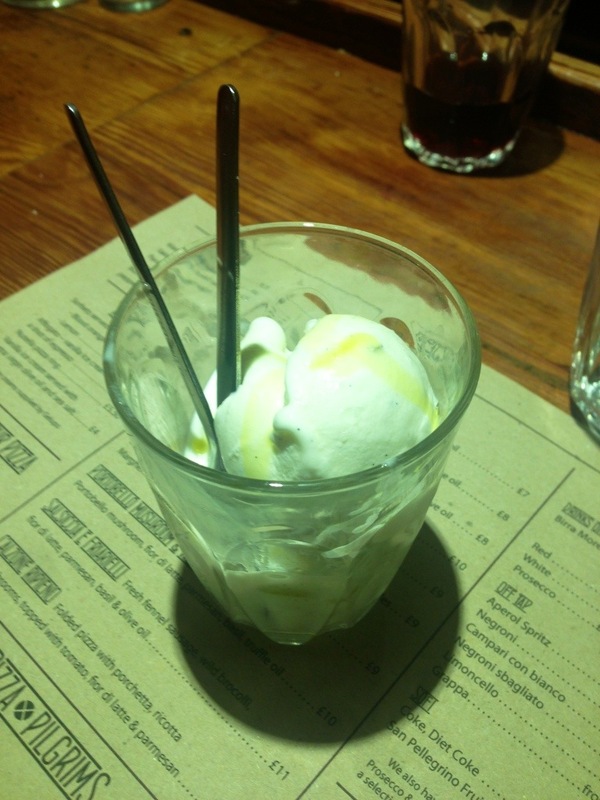 The whole experience is wonderful – relaxed, comfortable and very very tasty. It’s like going round to a friends house. 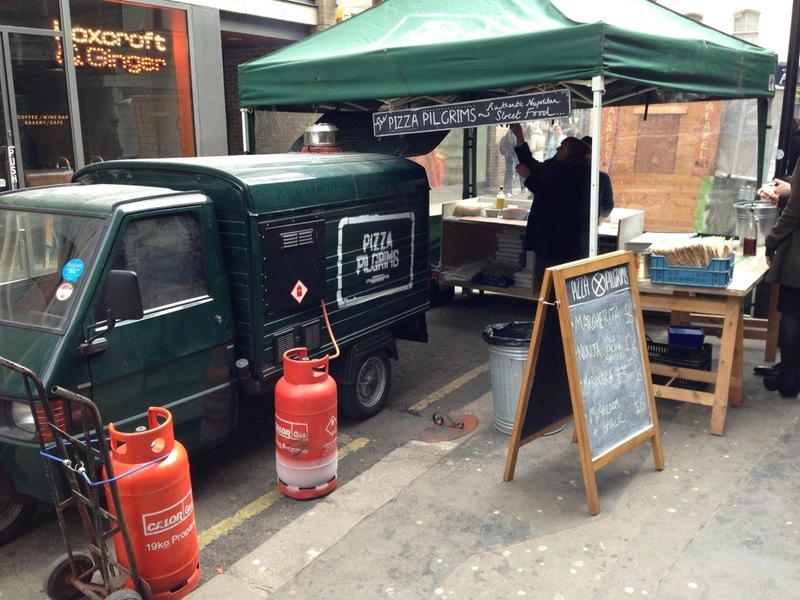 Just a friend that happens to cook the best pizza in London. Go.